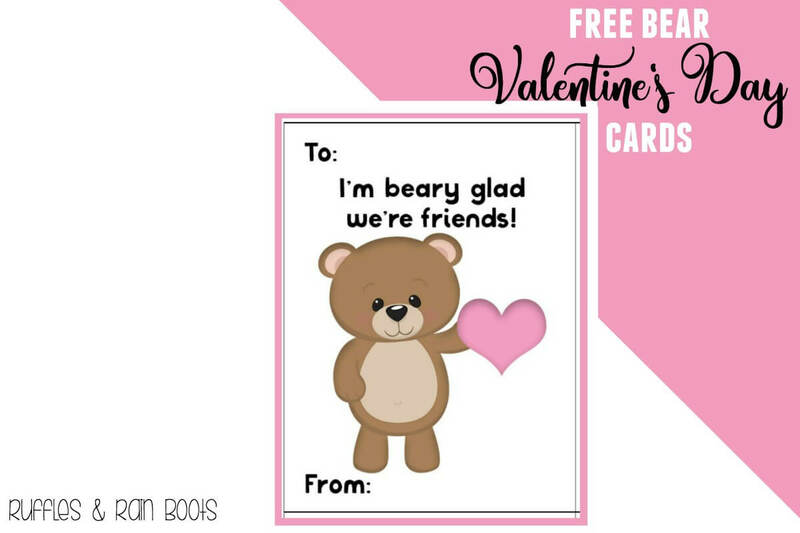 One of the most adorable holidays can be easy with these free bear Valentine’s Day Cards printables. 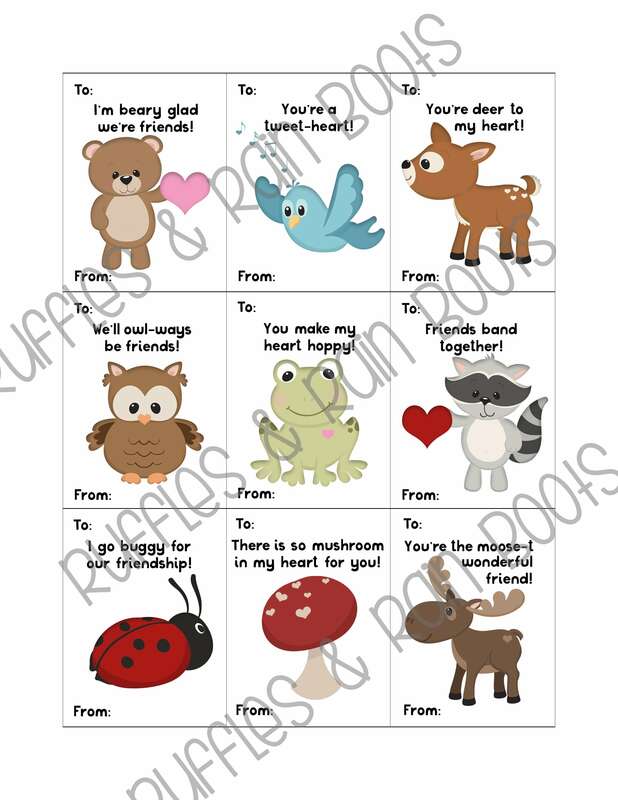 Just download and print unicorn Valentine’s Day cards, otter Valentine’s Day cards, or Woodland Animals Valentine’s Day cards. So much Valentine’s Day commercialization pours into our homes in February. If you’d like to balance the classroom fun with family bonding, here are a few ideas we’ve implemented. Create an origami heart for each member of the family and write one thing you love about them on the back. 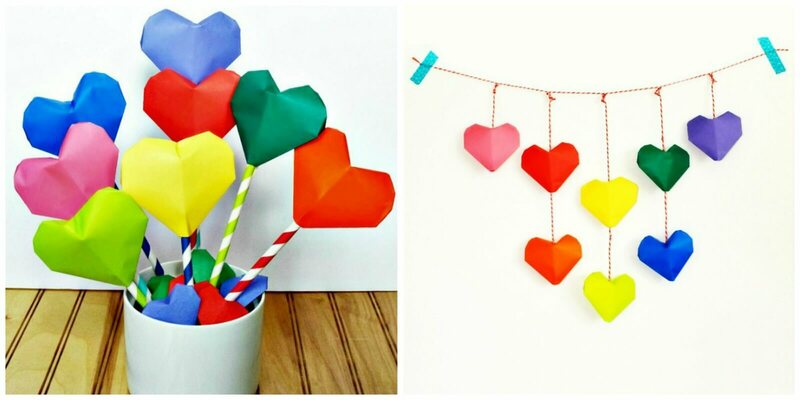 You could make an origami heart bouquet or garland, or just hide each for the recipient to find. Show how much you love each other by taking care of your exercise needs together. Valentine’s Day fun runs or family fun runs (usually a 5k or less) or prevalent around the country. After all, isn’t everyone still hammering home their healthy New Year’s resolutions? Who knows? 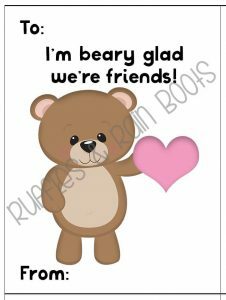 Maybe you might print pages of these adorable, free bear Valentine’s Day cards just to give out to all the racers! My daughter and I often put together quart-sized plastic bags full of personal care products we pick up for about a dollar each. You can create a Valentine’s Day gift bag and deliver it to homeless shelters or even drop them off with the many organizations who collect for those in need. Lions, and owls, and bears, oh my! I couldn’t resist creating a wonderfully punny set of Woodland Animal Valentine’s Day cards this year. Check out the silly puns kids love! This set of forest animal Valentines features 9 unique designs in a soft color palette that’s sure to please. If you have young children, this option is for you. If you have kids who participate in after-school activities, this might also be for you… I’ll add your child’s name to a custom listing – just click through to the Valentine’s Day cards you want and message me. Go ahead, give this cutie a share or check out our free unicorn Valentine’s Day cards and the punniest free otter Valentine’s Day cards you’ve ever seen!